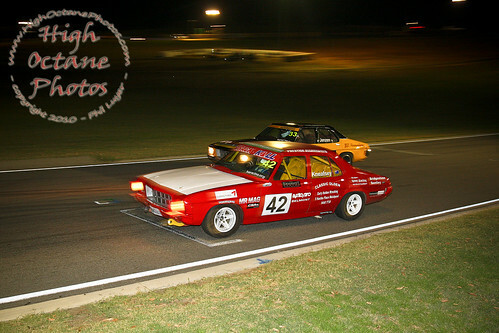 One of my favourite meetings of the WASCC's Club Racing Season, is the Night Masters. 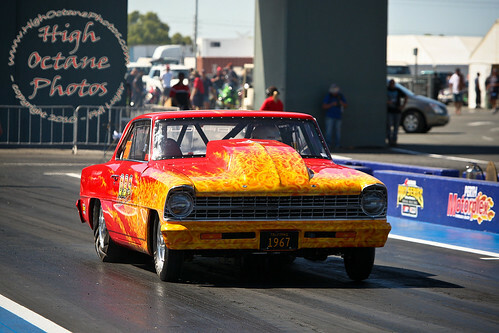 In the past the club have run these events as a 3 event series, as a stand alone event and as a 2 event series. 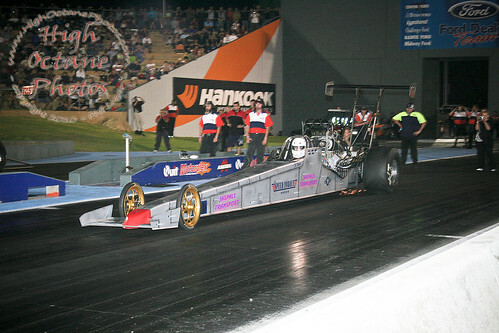 This years format saw the first round of the Night Masters held on the 20th of February. 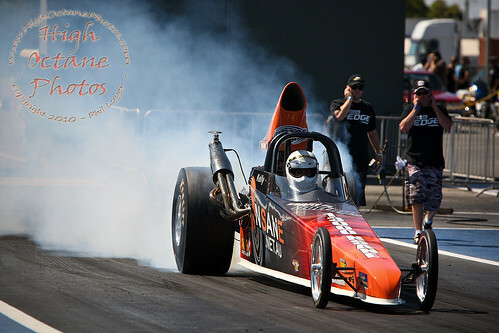 The second round is scheduled for the 13th of March. 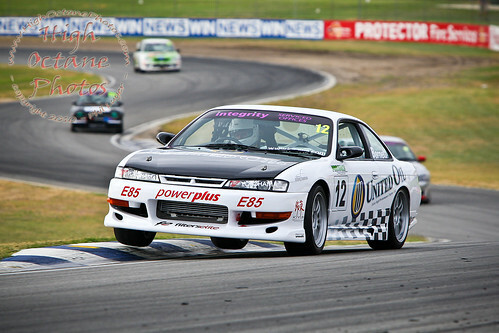 Ash Barnett curb hopping on the way up through the Esses at Wanneroo. 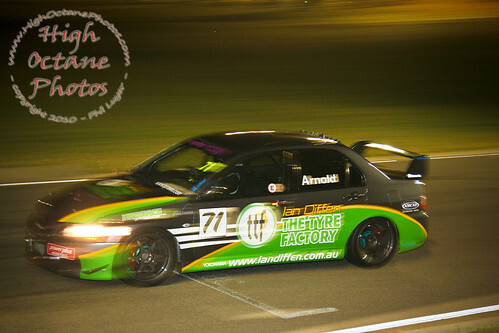 Rex Meechin's UltraSport is a very impressive car, incredibly quick around Wanneroo and a work of art as well. 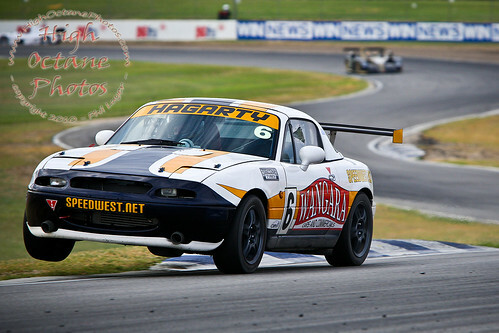 Rob Hagarty had a little off track excursion on the first lap of this race, and was working hard to make up ground, as you can see here. 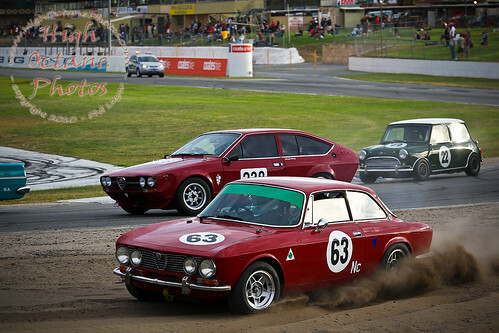 In the Historic Touring Cars, Martyn Piercey got out of shape in his Alfetta GTV and nudged the Alfa of Chris Chang, sending Chang into the sand and leaving a fairly large dent in his drivers door. 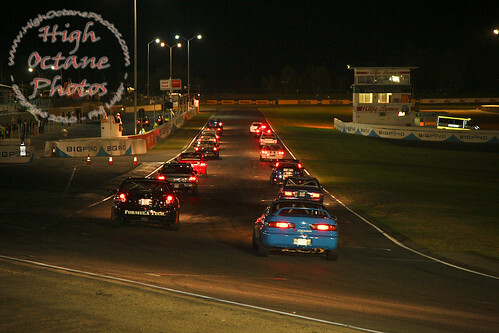 Of course, the reason this meeting is called the Night Masters, is because a large portion of the racing is under lights. 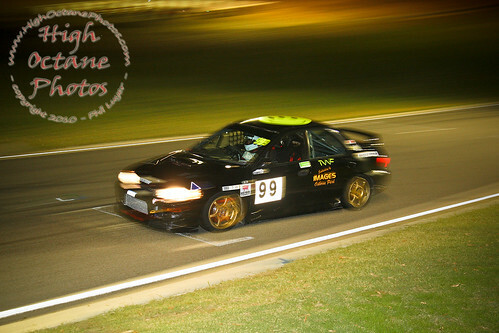 Here, Street Car competitor Ivan Tan is approaching Ford Fastbreak corner in his Subaru WRX. 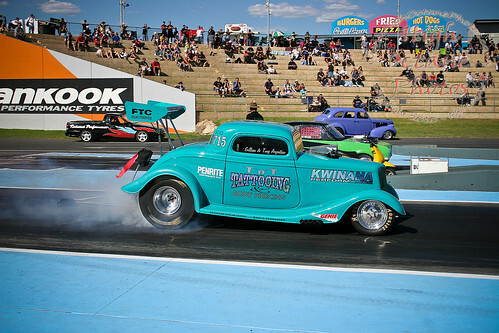 Improved Production racing is growing quickly in WA, with the class now being big enough to be granted their own races at the Night Masters rounds, instead of sharing with the similar Street Car class as has happened in the past. 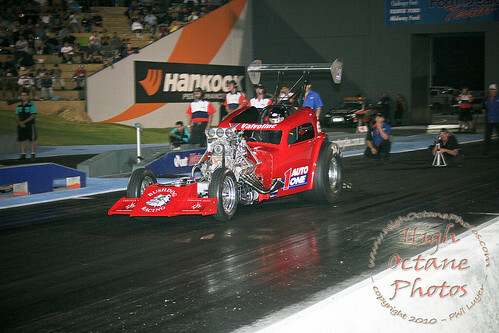 Traditionally, the highlight of the Night Masters program has been the Night Masters races themselves, which featured the quickest cars out of a number of categories on the night, and consisted of 3, 3 lap mini-races with a reverse grid start for each of the mini-races. 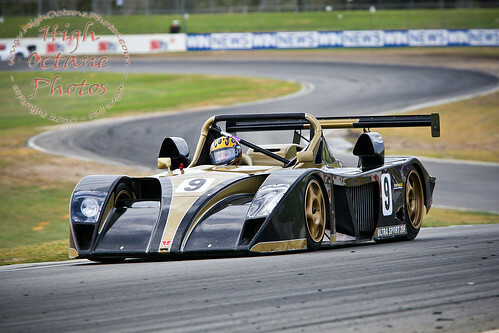 Unfortunately, in the last couple of years these races haven't been run, but I for one, am still hopeful that we will see them return in future. 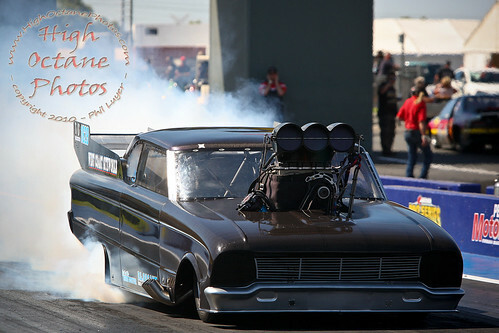 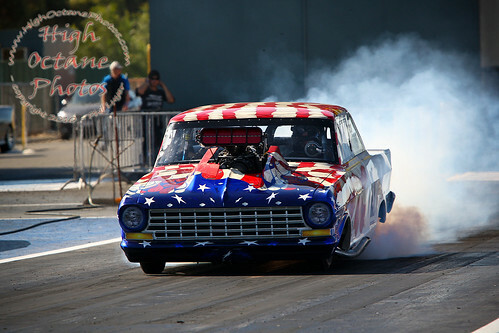 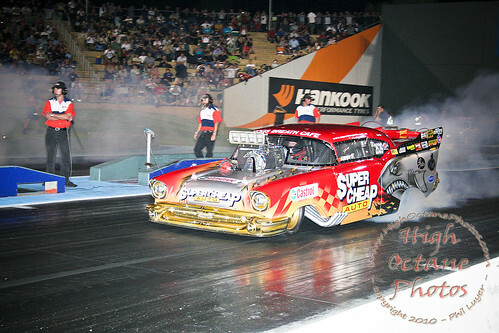 The next round of the Night Masters series is set for the 13th of March, part of a busy weekend for me, with the annual ACE Ford Club Cruise also on the 13th and the Cranksters Rod and Kustom Club's annual Pipeline Cruise on Sunday the 14th, along with the Perth Motorplex's Retro Drags event.